Mitch McConnell doesn’t want to deal with any more high-profile, controversial legislation in 2018. Ted Cruz and other conservatives beg to differ. Ted Cruz has a novel idea: Republicans should again try to repeal and replace Obamacare in 2018! He is not daunted by the disastrous failure of his party to achieve that goal in 2017, despite trifecta control of Congress and the White House. He seems to view those efforts as a warm-up act. That’s what Republicans thought before, and they weren’t too far off. But as the saying goes, getting “close” only matters with horseshoes and hand grenades. Cruz, however, thinks it could be different this time. Cruz said he has had long conversations with the Republican senators who blocked legislation last time around, and still thinks they can get something across the finish line. He also said there has been talk of asking the Congressional Budget Office to rescore repeal legislation now that the individual mandate is off the books, which is expected to drive down the CBO’s estimate of the number of individuals who would be uninsured under Republican legislation. McConnell might be abandoning the maneuver that would allow him to repeal Obamacare, or pursue any other major legislation ahead of the midterms. Politico reports that GOP leaders are considering skipping passage of a budget in 2018. Aside from the embarrassment of failing to pass a budget after years of hounding Senate Democrats for the same thing, that means Republicans would not be able to use reconciliation procedures to pass controversial legislation with just a simple majority. It’s not just another run at Obamacare repeal that McConnell might want to rule out by sticking to legislation that Democrats can block with a filibuster. Paul Ryan famously wants to go after wildly popular “entitlements,” and there’s interest in both Congress and the White House in a demagogic drive for “welfare reform,” which would also require a reconciliation bill. Beyond the controversial, and potentially party-splitting, bills that using the budget process would open up, there’s the little problem that passing a new budget resolution this year would force Republicans to come to grips with the budgetary consequences of their 2017 legislation, most notably the deficit-boosting tax bill. Why arm Democrats with campaign talking points on that subject? So from McConnell’s perspective it makes more sense to call it a day, fight to maintain GOP control of Congress in November, and then reevaluate the situation after that. Cruz isn’t the only Republican unhappy with that calculation. It’s not up to conservative activists like Holler, or House conservatives like Loudermilk, to decide. 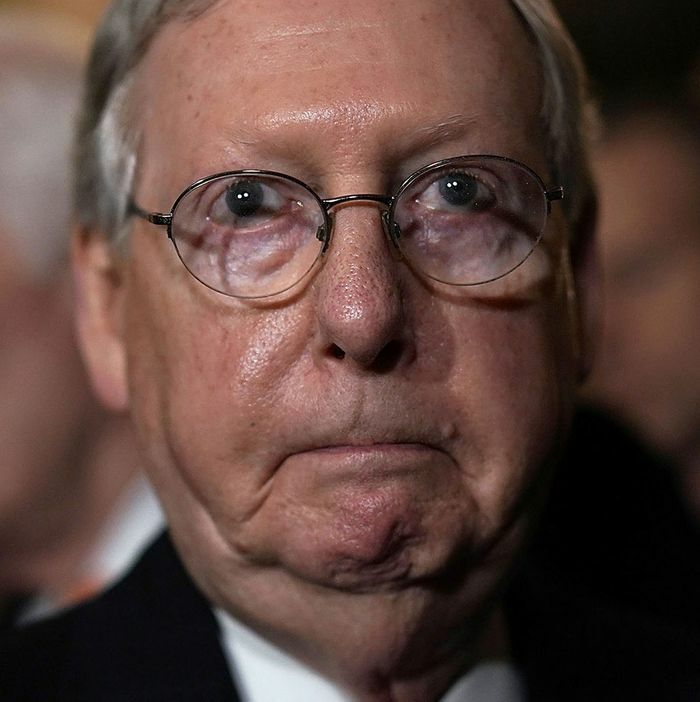 But if McConnell relents, you can expect serious pressure not just for entitlement or “welfare” reform, but for another harpoon tossed at the Great White Whale of Obamacare.